My Voice T-shirts Highlight the work of World Vets! If you haven’t heard of them, My Voice T-shirts is a company focused on spreading the word about animal welfare through apparel. Their product line includes organic items and casual tees for men, women and even pets! What’s more they are committed to giving back and donate 50% of their annual profits to non-profit organizations focused on improving or saving the lives of animals. 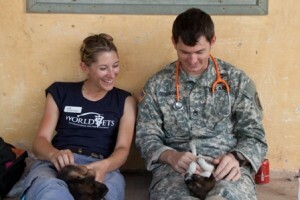 This month My Voice T-shirts has featured World Vets in their nonprofit spotlight. We have just opened an “Assistant” category on many of our International Veterinary Medicine (IVM) Program sessions taking place in March, June and July 2013. The “Assistant” category is open to anyone who loves animals and wants to volunteer. 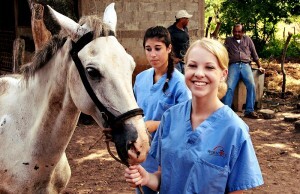 No technical training or veterinary experience is required. Assistants often help with patient recovery, sterilizing instruments and with a variety of other duties. 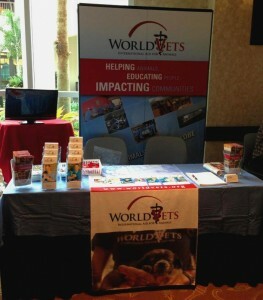 World Vets is thrilled to be participating in the Western Veterinary Conference February 18 – 21 in Las Vegas, Nevada. We will have a booth so be sure to stop by and hello! Whether you’re a veterinarian who would like to volunteer your services abroad, a student looking to learn surgery one-on-one a, or a company who would like to get involved in a high profile organization making a difference in the international community, there is something here for you! 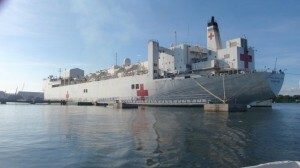 This year World Vets is continuing its assistance to the Department of Agriculture in St. Eustatius; a small island located in the Netherland Antilles in the Caribbean. 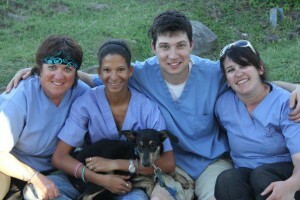 In 2012 World Vets sent a preliminary team to the island where they conducted a pilot project. 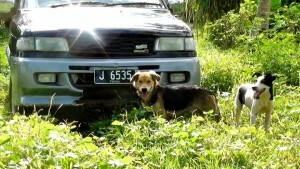 The objective of their visit was to help the island contain its ever growing animal population. Our team provided castrations to both donkeys and small animals. They also visited the island`s livestock facilities to assess overall health and identify any prevalent ailments. Check out World Vets Wish List on Amazon! If you are looking for an alternative way to give or to simply help the animals that World Vets treats – check out our Wish List on Amazon. Now you can include much need veterinary supplies and equipment for World Vets while you shop for your own personal items. World Vets operates a Donkey Welfare Project in partnership with the Arusha Society for the Protection of Animals in Arusha, Tanzania. 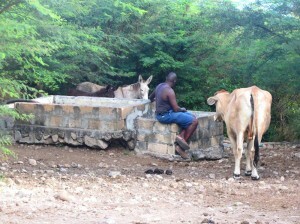 In 2013, two World Vets teams will be providing free veterinary care and treatments to donkeys in the area. One of the major health issues we see are wounds around the neck and head as a result of the ropes that are used to guide them. 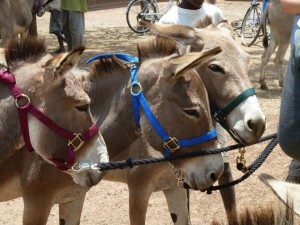 For our upcoming visits, we would very much like to provide halters and leads to be donated to local donkey owners. 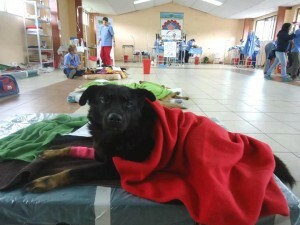 Another World Vets team has return from yet another successful campaign in Ecuador. Working into the night for 3 days straight, our dedicated volunteers and local partners, PAE Ibarra, provided over 200 spay/neuter surgeries. All of our services are provided at no cost and target street and community owned animals as well as those living in low income households who can’t afford veterinary care for their animals. We thank Fondation Brigitte Bardot for the continued support of our efforts in Ecuador.